The cocoa’s price passed US$3, 000 a tonne this week. However, the Easter holidays are not the driving force. More importantly, skilled worker shortages and political uphveals in West Africa are the major contributors to the price increase trend. West Africa is the source of 70 per cent of the world’s cocoa beans. Professor David Guest from the Department of Plant and Food Sciences at the University of Sydney told The Observer in 2015 that rising chocolate costs were inevitable. “You need to look after these trees properly, which requires labour,” said Professor Guest. “And labour shortages are a real problem in the cocoa-growing areas because of a drift of young people to the cities and people suffering from poor health,” he stated. 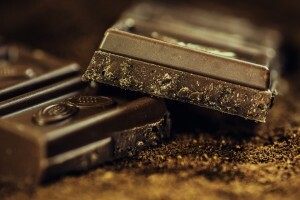 According to Professor Tim Benton from the Faculty of Biological Sciences at the University of Leeds in the UK an overall increasing demand for cocoa is helping to drive up prices. “Demand for cocoa is growing fast and it is not clear what stocks are held across the world,” Professor Benton said. “This creates a recipe for price uncertainty. It can drive up prices, lead to panic buying and create the potential for a price spike,” he states. Australians are certainly contributing to the increased demand with new Roy Morgan Research statistics released this week confirming that consumers ate more chocolate in 2015 than they did in 2013.